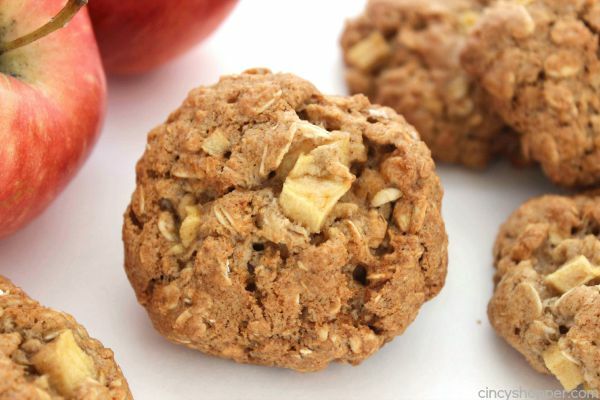 These Apple Cinnamon Oatmeal Cookies make for the perfect fall dessert or even an on the go breakfast. 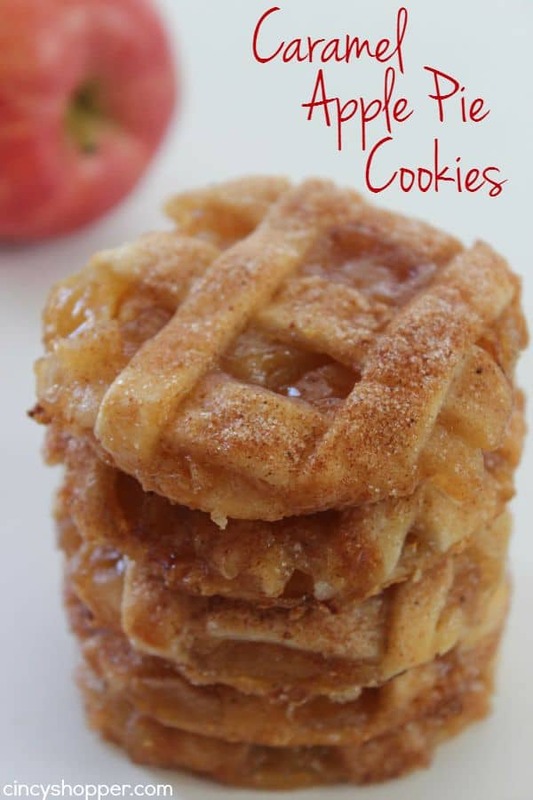 You will find lots of apple and cinnamon flavors. Cookies always make for an inexpensive and easy dessert. During the school months, I like to make cookies frequently because they make for a great addition to my kiddos lunches for school. These cookies did double duty last week. I packed them in lunches and they also enjoyed a couple for breakfast on the mornings we were running a bit late. 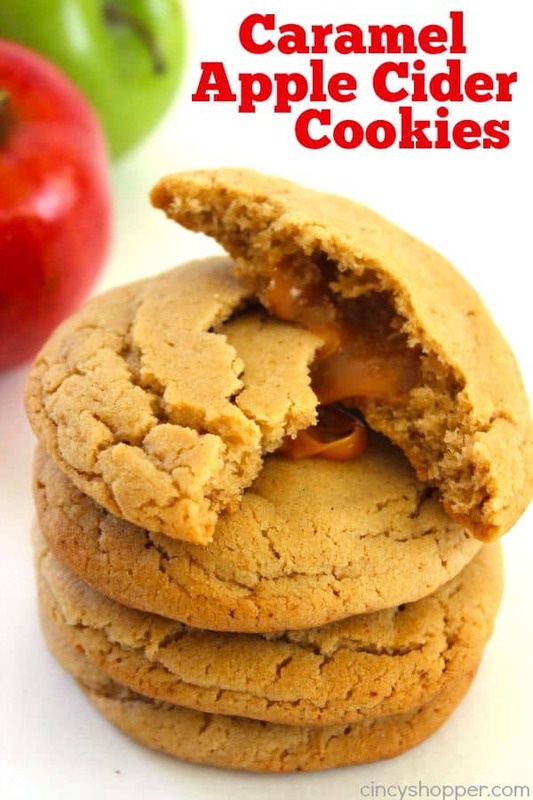 The kiddos liked them almost as much as our Caramel Apple Pie Cookies that I shared a couple weeks ago. Cookies loaded with apple and cinnamon always remind me of comfort food. Add in oatmeal and I feel ultimate comfort. 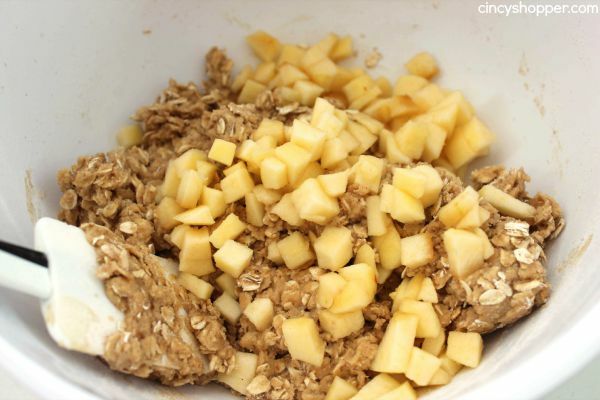 Growing up, my morning breakfast was quite often a bowl of apple cinnamon oatmeal which was always perfect on a brisk fall morning. 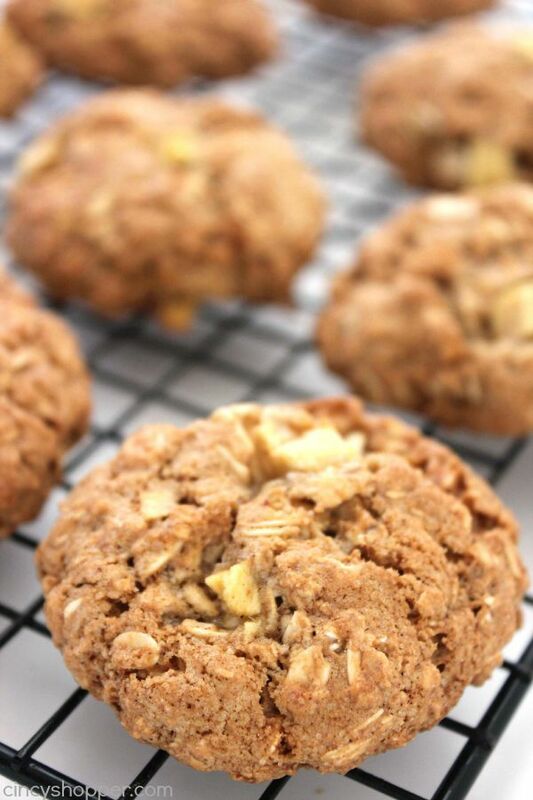 These cookies are dense like a typical oatmeal cookie. 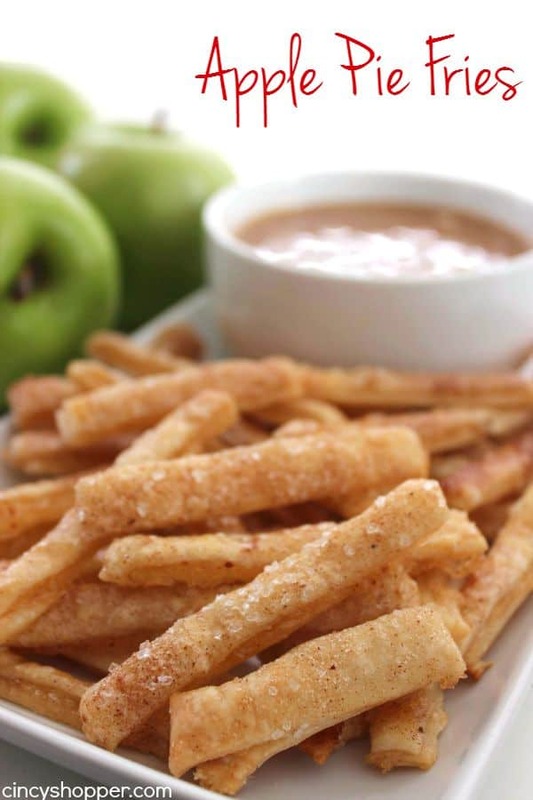 The addition of the apple pieces, applesauce, and cinnamon was perfect. 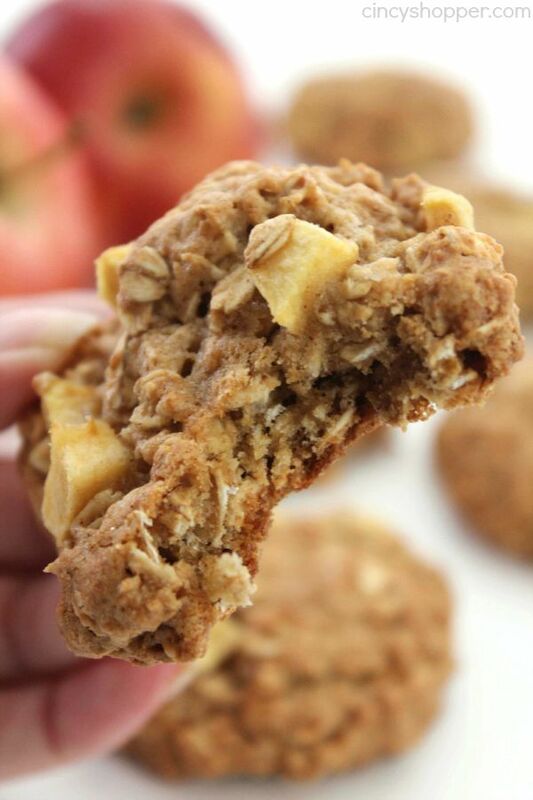 These Apple Cinnamon Oatmeal Cookies are so super simple to make. I made the first batch and had my daughter make an additional two batches so I could feed the gang this week. My house smelled so yummy most of the day. Line baking sheets with parchment paper or silicone mat. 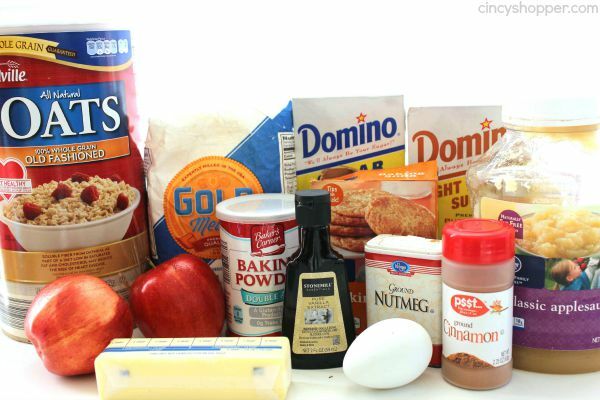 Whisk together flour, baking powder, baking soda, salt, cinnamon and nutmeg. Stir oats into flour mixture and set aside. Cream together butter, brown sugar and sugar. 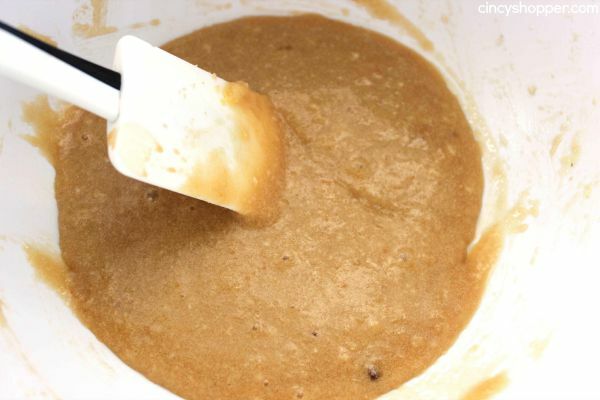 Add in egg, apple sauce and vanilla and beat until blended. 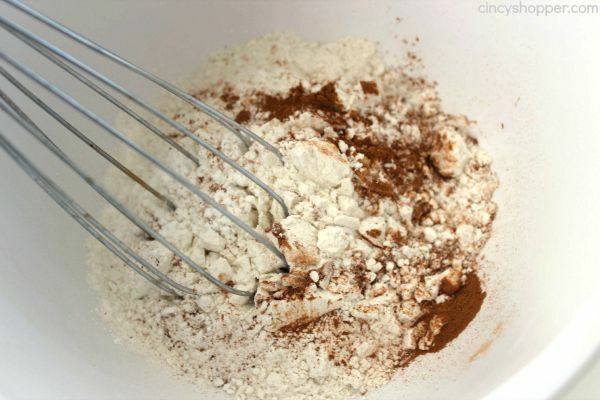 Gradually add in the flour mixture, stirring by hand, until incorporated. Spoon into 1 tablespoon balls and place on prepared sheets 2″ apart. Bake for 18-20 minutes or until the edges are lightly browned. 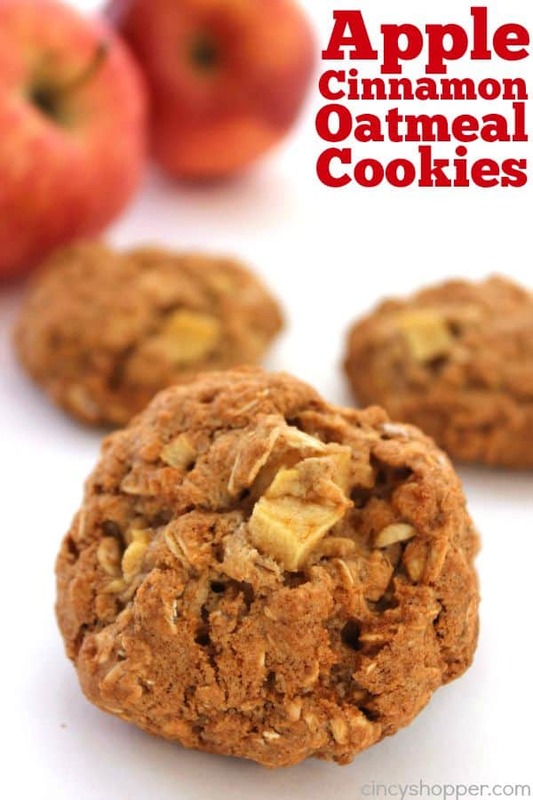 If you enjoy dunking cookie in your coffee, these cookies are perfect for dipping. I enjoyed a few with my evening coffee this week. 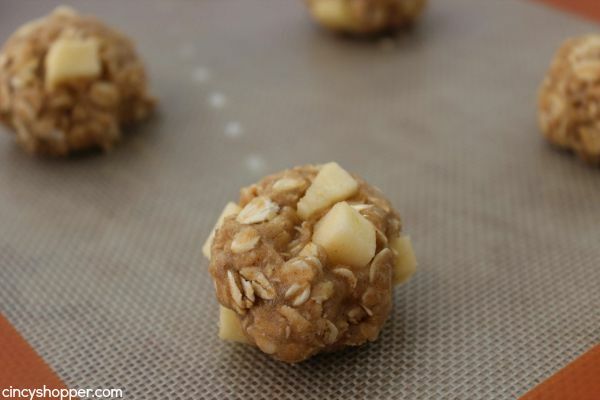 Spoon into 1 tablespoon balls and place on prepared sheets 2" apart. These sound amazing! I love when cookies can double as a dessert and breakfast too…well who am I kidding? I will eat a chocolate chip cookie for breakfast too ;) Thanks for sharing! Visiting via the Show + Tell Link Party! Oh my! So much yummy apple goodness! 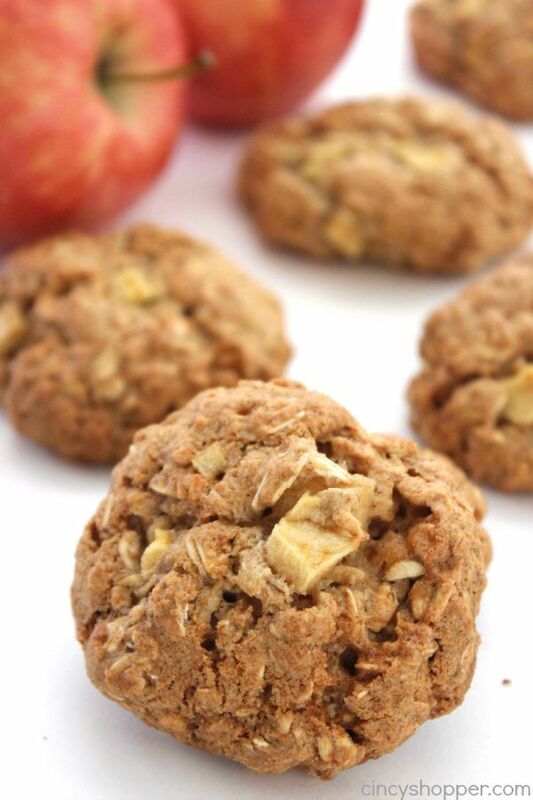 I’m definitely pinning your apple-cinnamon cookies to our favorite’s board! Thank you so much for sharing at the Wonderful Wednesday Blog Hop!